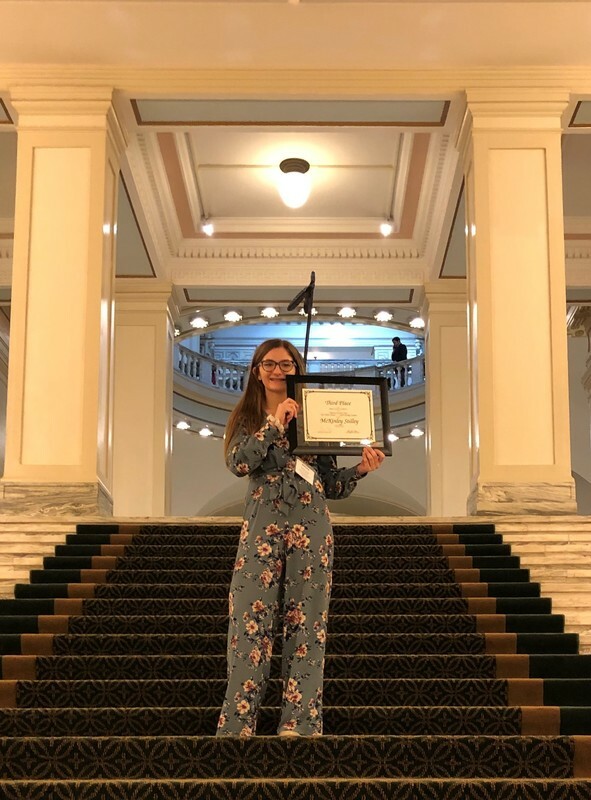 McKinley Stilley placed high in the “If I Were Mayor…” State contest this year. The state contest is sponsored by the Mayors Council of Oklahoma and the Oklahoma Municipal League. All 8thgraders across the state are eligible to participate. This year there were over 500 essays entered, and only the top three are chosen. McKinley was the third place winner. 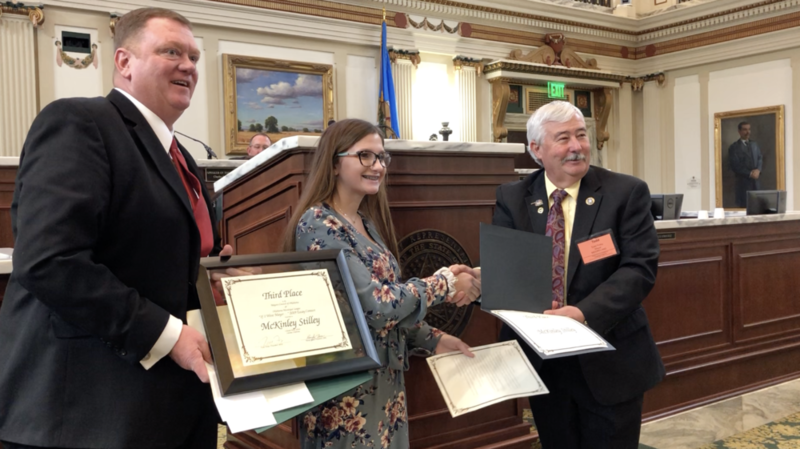 Stilley attended a luncheon at the State Capitol on January 25, 2019 with Mayors from across the state of Oklahoma. After the luncheon, McKinley was invited to read her essay on the house floor. McKinley was presented with a plaque and a $100 check.